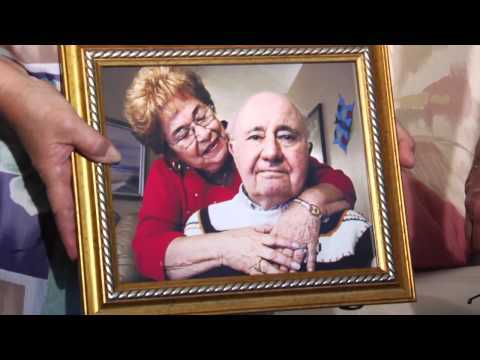 If you are caring for an Alzheimer's patient, then you are not alone. There are over five million Americans suffering from this debilitating disease, which is also the seventh-leading cause of death in the country. For patients over sixty-five, the dangers are even more real, as statistics show it is the fifth leading cause of death in the senior age group. Whether you have been trying to cope, with the Alzheimer care you have been giving or you are just getting started, here are some practical tips to help you during this difficult time. The medical difficulty of Alzheimer's is that no two patients progress at the same rate or exhibit the same Alzheimer's symptoms. Some Alzheimer's patients are prone to wandering off or forget that they are unable to drive a car. Other earlier signs of Alzheimer's include misplacing keys, forgetting names and becoming irrationally upset without remembering why. In the worst stages, the patient can no longer speak or recognize friends and family. "Each individual is so unique, so different, there is no black and white or this is how you take care (of the patient)," says Connie Kudlacek, former director of the Alzheimers Association Midlands Chapter. "Instead of focusing on the negatives, we need to look at the positives and find an opportunity to continue to nurture their personality and give them an opportunity for success, even in the later stages." The emotional difficulty of caring for somebody with Alzheimers is the "losing and grieving while providing the care because Charlie is not Charlie anymore," relates Professor Jacquelyn Frank of the UIndy Center For Aging & Community. She describes the feelings as "anticipatory grief," which refers to the fear of losing someone before they have even died, and "ambiguous loss," which is the discordant feeling of caring for somebody who is physically alive but socially lacking. Frank highlights the importance of airing out emotions in an Alzheimers support group to maintain a positive attitude in the face of such isolation and hopelessness. Reducing frustrations is one tactic that will help you provide effective Alzheimer care. At first you may struggle with your loved one trying to bathe or feed them, but over time you will get to know their natural schedule of when they are most agreeable. Established routines can help make the day less unpredictable and more manageable for the Alzheimers patient and you. Limiting difficult decision-making is very helpful for the Alzheimers caregiver. For example, a closet full of clothes may be intimidating, whereas a choice between two outfits may be very achievable. Try to resist the urge to "baby" the Alzheimer's patient. Instead, allow him or her to help. Sometimes you will be surprised. He or she may not be able to take the initiative and find clothes to wear or pick up the electric razor, but if you set the clothes out on his or her bed or place the razor in his hand, your loved one may go through the motions and accomplish the task after all. Realize that every task will likely take extra time, so learning to plan for that in Alzheimer care is a tremendous de-stressor. To give yourself added peace of mind, ensure that the Alzheimer's patient has a safe environment. This area can be overlooked in Alzheimer care because many caregivers feel if they are there watching, nothing bad can happen. However, one trip over an extension cord can bring broken hips, hospital visits and worsening of Alzheimers symptoms. Therefore, it is best to look out for several things in advance. Avoid throw rugs and if you desire the extra cushioning around, look for specially made ones with non-skid bottoms. One of the paramount tips is to clean the house and rid it of clutter. Remember, a cluttered environment equals a cluttered mind! Install locks to keep tools and hazardous materials far from reach, install handrails to avoid falls, keep all plug-in devices away from bathrooms and sinks, keep the water heater at 120 Fahrenheit to avoid burns and be sure that fire extinguishers, smoke alarms and first aid kits are accessible and operational in the house.